Have you ever looked down and noticed your cuticles were dry and cracked? If your hand lotion is simply not strong enough to keep those cuticles moist, step up the game a bit with lip balm. The thick texture of the lip balm will last longer than traditional lotion and really moisturise dry cuticles! Ice water for perfect nails. Many people think the best option is to dry the nails after painting with a blow dryer on the heat setting. If this doesn’t work for you, next time, paint those nails and then place your fingers in a bowl of ice water. The ice water will seal the polish on the nail. The result – brighter, shinier nails. Thought of the month ……. A new cycle begins this day, yet a new cycle begins every day. Indeed, every moment. So if you recognize anything on this day, recognize what it symbolizes: The miracle of the endlessly continuing Cycle of Life. Come along and sample therapies at Pamper Events, at Freemantle Hall, Bexley Village, for more information on the various events visit http://www.indigostrawberry.com/events.htm. 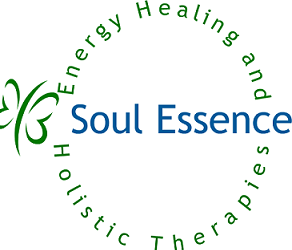 Our termly events are held at All Saints Church Hall Bercta Road SE9 the next event is Thursday 20th March 2014 for more information visit http://soul-essence.com. The monthly Meditation group held on the first Wednesday of the month at 8pm. This has proved popular and the group now has a core of regulars, in the new year we moved to the savage room at All Saints Church Hall so more people were able to join. If you are interested please contact me for more details and to book your place, for more information look on my website. Mustard will remove lingering smells from old bottles. When cleaning out a bottle or bowl that has been used to store a food item that has left a lingering odour, sometimes soap and water will simply not cut the smell. Yellow mustard can remove that lingering smell in just a few moments. Simply add a little mustard and warm water to the container and swish around for a few moments. Rinse well and the smell is gone. Pumpkin seeds are exceptionally good for you. They’re like nature’s own health supplement and have a wide variety of nutrients in them. They’re full of zinc, iron, magnesium and calcium. Plus our favourite omega-3. What more could you want!? Have a handful of pumpkin seeds every day and enjoy some great health benefits. ……that miracles do not, in fact, break the laws of nature. C.S. Lewis said that and it is an enormous insight. If we think that miracles are normal, we will expect them. And expecting a miracle is the surest way to get one. We all want a healthy body! And many of us spend our lives jumping from diet to diet forgetting the importance of muscle. For every extra pound of muscle we add to our bodies we lose an extra 50 calories a day whether we are active or not. For a healthy body, make sure to build muscle as well as lose fat. Blueberries to reduce inflammation. Blueberries contain antioxidants that can reduce inflammation in the body. Inflammation is now thought to be one of the main causes in certain diseases like diabetes and cancer. These antioxidants also fight off free radicals which can leave the skin looking and feeling younger as healthy cells begin to regain control over the free radical producing cells. Considering it is fruit so it’s nice and healthy we think it’s worth a try! ….. that when you see the light at the end of the tunnel, it is not beneficial to go out and build more tunnel. It was John Quinton who observed that politicians do that. Maybe you’ve caught yourself doing it, too. The Universe is essentially a friendly place. So friendly, in fact, that it will give you exactly what you expect it to. Come along and sample therapies at Pamper Events, monthly on the last Saturday of the month at Freemantle Hall Bexley Village, for more information on the various events visithttps://www.facebook.com/groups/141634117164/ if you are on Facebook or http://www.indigostrawberry.com/events.htm. Our termly events are held at All Saints Church Hall Bercta Road SE9 the next event is Thursday 28th November 2013 for more information visit http://soul-essence.com. The monthly Meditation group held on the first Wednesday of the month at 8pm. This has proved popular and the group now has a core of regulars, we now meet in to the savage room at All Saints Church Hall so more people will be able to join. If you are interested please contact me for more information and to book your place, for more information look on my website. Your makeup will last longer and will look much better if you apply it when your skin is slightly moist. If you apply foundation to dry skin, it will not smooth out well, nor will it blend well. Dry patches of skin disrupt your blending and give you those funny blotchy patches. If you spritz lightly with water then gently pat dry with a tissue you should have the perfect base to apply makeup over. That said; make sure to give your face a few minutes in between applying your moisturiser and your foundation. Most moisturisers are designed to soak deep into your skin to really nourish the bottom layers of your skin. If you apply your foundation directly after this, it will get drawn deeply into your skin with the moisturiser. This is obviously not good! Your foundation will literally ‘disappear’ and your pores will end up clogged! Vaseline – When it comes to dealing with the labours of foot work, the cracked heel has to be the most disconcerting. No pedicure or beautiful sandal can make up for that dried skin on the back of your foot. In order to treat cracked heels quickly and easily, many doctors recommend old fashioned Vaseline. Applying Vaseline to the foot before bed and covering with a sock will allow the petroleum jelly time to soak into the cracks of the foot. Over a few short days, you will see a substantial change in the way your foot looks and feels. …that you must be good to yourself if you are ever going to be any good for others. This means take a day off once in a while when it’s not scheduled. Eat of piece of chocolate when it’s not recommended. Take a nap when it’s just not possible. Get your face into a good book for an hour when you can’t afford to. Soak in a tub when there’s no time to. Stop everything when you’re not supposed to. Do this now, right now. Our termly events are held at All Saints Church Hall Bercta Road SE9 the next event is Thursday 20th June 2013 for more information visit http://soul-essence.com. The monthly Meditation group held on the first Wednesday of the month at 8pm. This has proved popular and the group now has a core of regulars, in the new year we will be moving to the savage room at All Saints Church Hall so more people will be able to join. If you are interested please contact me for more information and to book your place, for more information look on my website. Olive oil could also be your best friend when shaving because it can cause hair to stand on end. It works wonders to bring the hairs of the leg to attention. To give it a try when shaving, apply the olive oil directly to the leg and work into the skin for a few moments. Shave as usual, then notice how close the shave is with this natural oil. Aspirin to remove underarm stains. Aspirin is known as the perfect headache relief medicine, but it also holds power over perspiration stains. When the underarms of your favorite white shirt has lost that bright, white luster try using aspirin to remove the sweat stains. Simply crush two aspirin and mix with a bit of water. Soak the stained area for three hours and launder as usual. …that virtue cannot separate itself from realitywithout becoming a principle of evil. Albert Camus said that, and he was right. When we become too virtuous, when we think ourselves to be oh, so right, we become dangerous to ourselves and others. Be careful of those who imagine themselves to be on the High Road while everyone else is walking the Low. If they really are on the High Road, they will offer to take everyone else with them, not simply tell others that they are going the wrong way. Come along and sample therapies at Pamper Events, monthly on the last Saturday of the month at Freemantle Hall Bexley Village, for more information on the various events visit https://www.facebook.com/groups/141634117164/ if you are on Facebook or http://www.indigostrawberry.com/events.htm. Essential fatty acids need to be balanced in the body. Research shows that many people have far too many Omega 6s and not enough Omega 3s. The best source is apparently NOT fish oil, however. Flaxseed oil has a more concentrated source of Omega 3s than fish oil … and without the fishy taste! The flaxseed oil can be sprinkled on salad to increase the anti-inflammatory response in the body. This can decrease the effect of allergies on the body and decrease the risk of developing inflammation based conditions like diabetes and arthritis. Snacking on nuts. A few handfuls of raw nuts as a snack food can be really satisfying. Why? Because the protein and fat in them not only satisfy the hunger, but give energy in abundance. Add to this most nuts contain potassium, magnesium, iron, phosphorous, zinc, vitamin E, selenium, copper, calcium and thiamine. Have a handful of nuts every afternoon and you’ll get a variety of important vitamins and minerals. …that there is a solution. There is. But you must keep going to find it. You cannot stop, you cannot give up. This is about more than just patience. This is about more than just persistence. This is about absolute knowing that you are able to find a solution with faith. When you know this, you never give up…and the sense of struggle goes away. You simply keep moving forward knowing that, in the end, all will work out. And that along the way there will be great insights and wonderful remembering. Dehumidifiers Reduce Dust Mites. Are you allergic to dust and cannot figure out how to eliminate it from the home? A dehumidifier can do the job. Dust mites cannot live below 45% humidity. So, running a dehumidifier set at 40% will begin to eliminate dust mites from the home. Another top tip is before starting the machine for the first time, vacuum all the carpets and upholstery in the house and change all bed linens. These are prime sources of dust mites and the linens can trap moisture. Apples to Decrease Respiratory Problems. Apples are a wonderful source of flavonoids. Flavonoids are like vitamins for the lungs. Eating just one apple, a couple of times a week can reduce the chances of coming down with a respiratory cold by up to 32%. Apple cider has more than two times the flavonoids of apple juice, so sip and enjoy. ..that if you become ruffled with every comment that you consider a ‘slight,’ you will never find peace. Nor will you find it by always separating yourself from those who ruffle you. You can only end so many friendships before you find yourself very much alone. You can keep making new friends, of course, but sooner or later they will ruffle you — and then what? Our termly Pamper events are held at All Saints Church Hall Bercta Road SE9 the next event is Thursday 14th March 2013 for more information visit http://soul-essence.com. The monthly Meditation group held on the first Wednesday of the month at 8pm. This has proved popular and the group now has a core of regulars, we have now moved to the savage room at All Saints Church Hall Bercta Road New Eltham SE9 so more people will be able to join. If you are interested please contact me for more information and to book your place, for more information look on my website. There are lots of little things you can do at home to help get rid of your cellulite. – Wear body-shaping pantyhose that contour your thighs to compress the fat and help with circulation. – Reduce your intake of caffeine and quit smoking. – Increase your water intake. Depending on your body type and skin shape, your cellulite may never completely disappear but you can help it along! Socks to Cure Insomnia. When the body gets cold, the heat is all reserved for the core of the body. This leaves feet feeling chilly and increases the chance of waking up in the middle of the night. Slipping into some warm, fuzzy socks just 20 minutes before bed can decrease the amount of time it takes to fall asleep and stop those mid-night wake-up sessions that leave you foraging for sweets and unhealthy snacks. …..that love is sometimes shown in the things you don’t say, don’t keep track of, and don’t notice. The greatest kindness is often shown in letting things go. None of us is perfect, but we can all be perfect friends and perfect partners by allowing those that we love to be imperfect. Give those around you the “break” that you hope the world will give you on your own “bad day” and you’ll never, ever regret it. Peanut Butter (Soy Butter / Almond Butter / Nutella) Can Cure Hiccups. At first, hiccups are fun and then they move to annoying. When you cannot break the hiccups, try eating a thick nut butter like peanut butter. Place one large tablespoon in the mouth and hold for 10 seconds. Then, try to swallow the butter whole. The hiccups will stop every time…. so they say! …that love is the centre and the core of everything, and that Self is the place where all love must begin. Those who love others grandly are those who love themselves grandly. Those who have a high toleration and acceptance of others are those who have a high toleration and acceptance of themselves. You cannot show another a part of you that you cannot show yourself. Therefore, begin where all growth, where all evolution, where all love must begin: with the person in the mirror. Will you not love yourself grandly today? For the world’s sake? Our termly events are held at All Saints Church Hall Bercta Road SE9 the next event is Thursday 14th March 2013 for more information visit http://soul-essence.com. The monthly Meditation group held on the first Wednesday of the month at 8pm. This has proved popular and the group now has a core of regulars, in the new year we will be moving to the Savage Room in All Saint Church Hall so more people will be able to join. If you are interested please contact me for more information and to book your place, for more information look on my website.